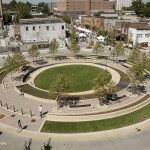 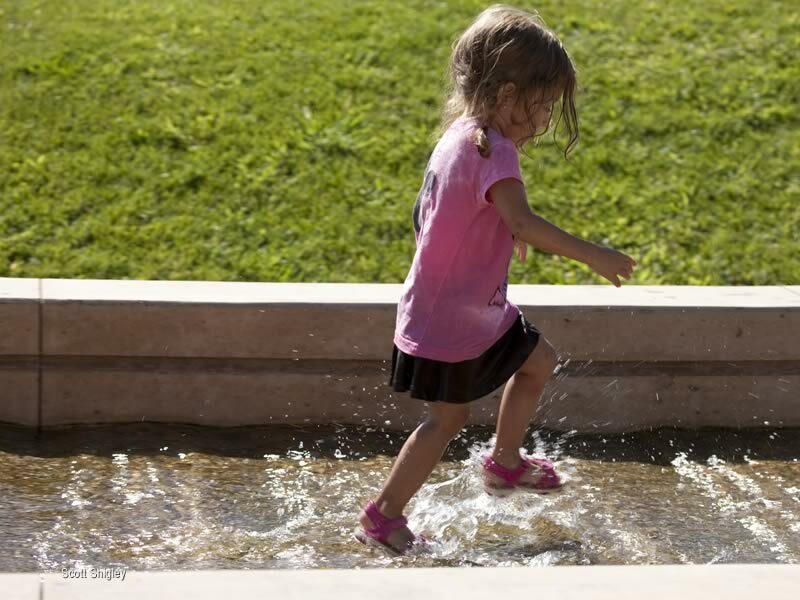 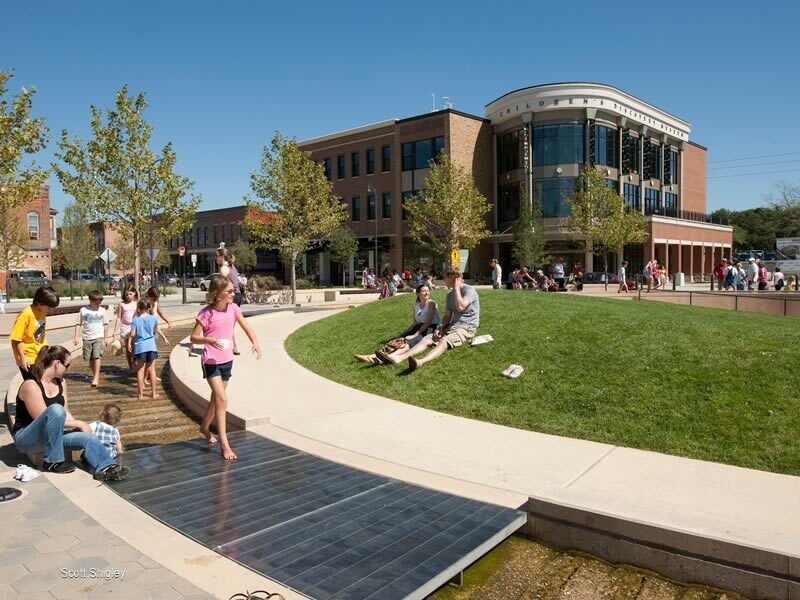 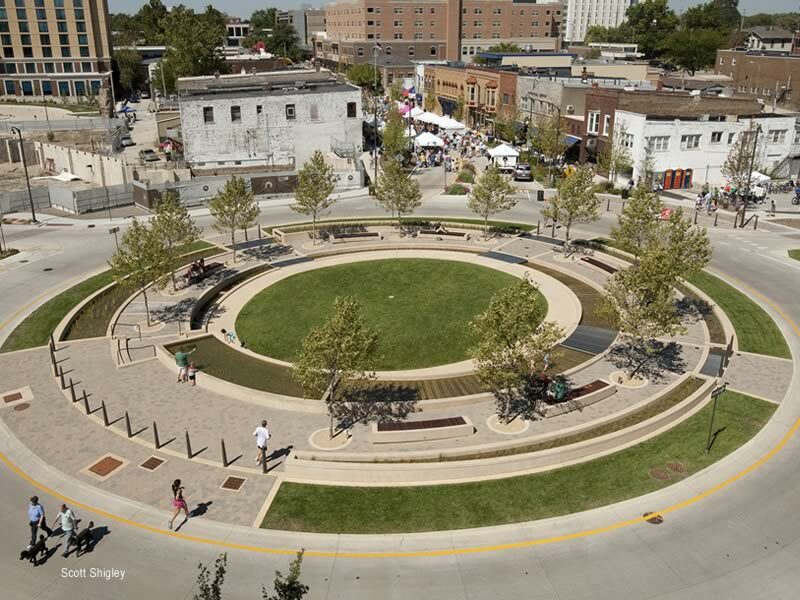 Uptown Normal’s Circle is a living plaza where naturally-cleansed stormwater, public space, and transportation work in unison. 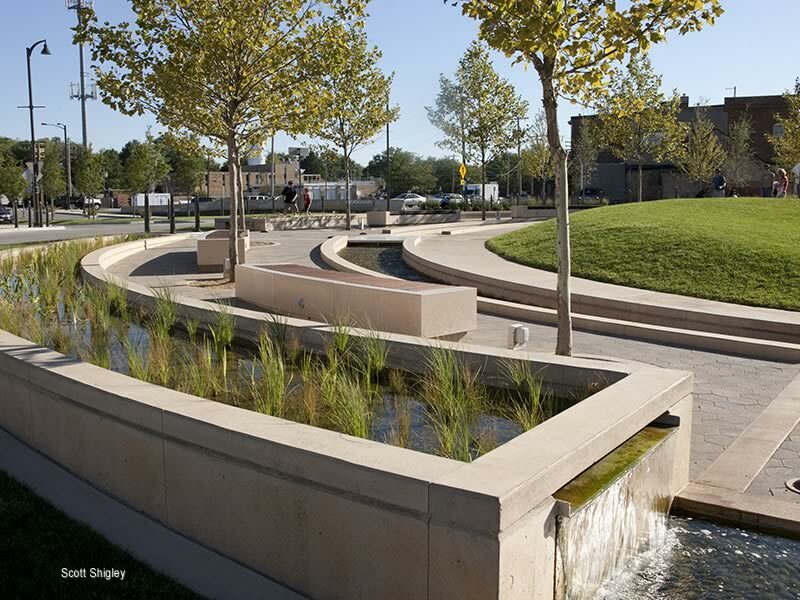 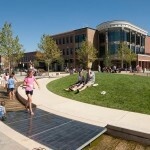 The Circle cleanses water collected from surrounding streetscapes through chemical-free filtration bogs and then returns it to the site in the form of a public water feature. 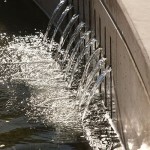 Later, this water is recycled into an irrigation system for the adjacent streetscapes. 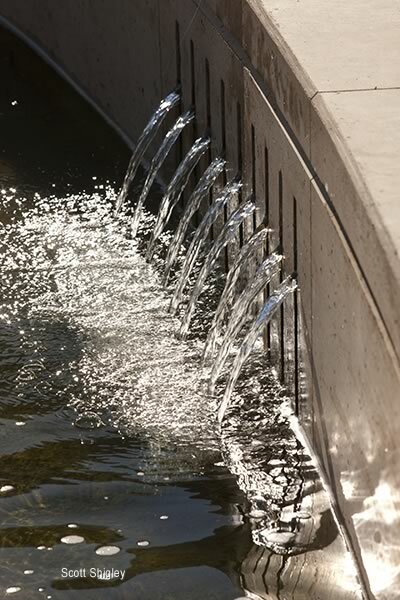 The inner elements are composed of an upper pool which flows into a non-planted, gradually stepped sluice, and the surrounding ring contains plants and gravel. 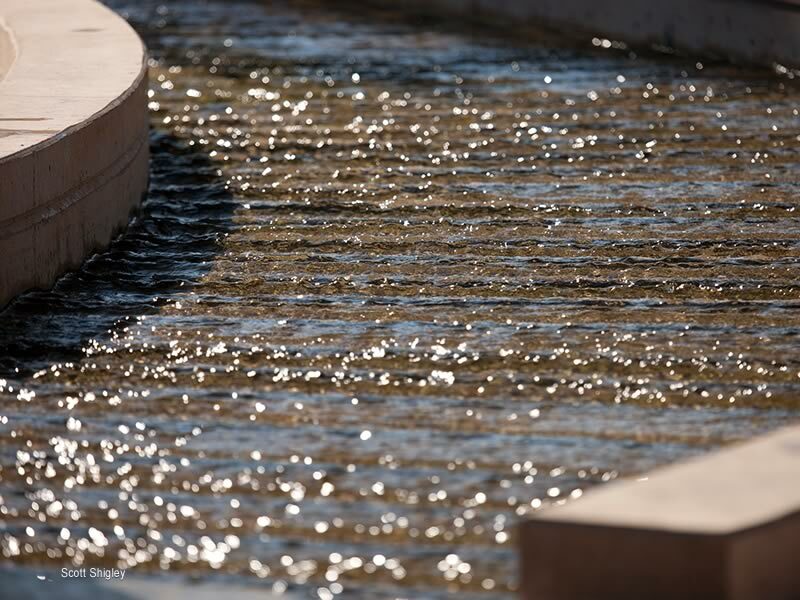 Water percolates up through the gravel and plants, and ultimately ends up in a subterranean reservoir, which also supplies circulation for the non-planted areas. 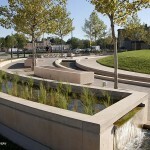 An abandoned storm sewer is used as a cistern for rain catchment. 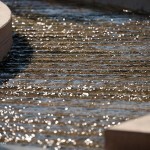 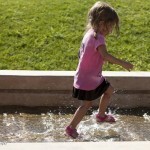 The fountain therefore requires little if any city supplied water.